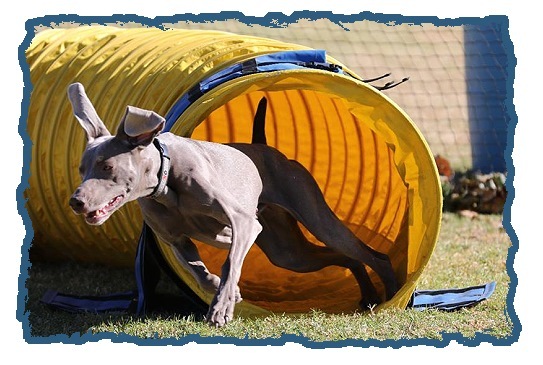 Running a dog in an agility trial is the ultimate game for you and your dog and is one of the most exciting canine sports for spectators. 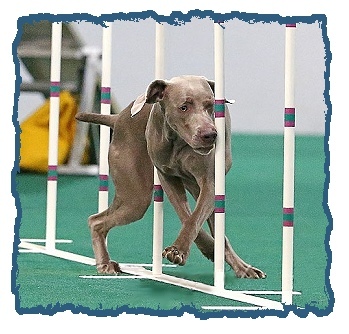 In an agility trial, a dog demonstrates its agile nature and versatility by following cues from the handler through a timed obstacle course of jumps, tunnels, weave poles and other objects. 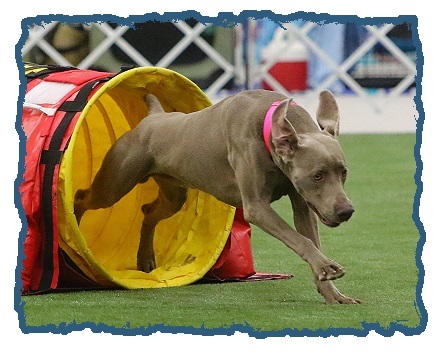 Its an activity that strengthens the bond between dog and handler and provides fun and exercise for both, which might explain why its so enjoyable to watch and has become the fastest–growing dog sport in the United States! 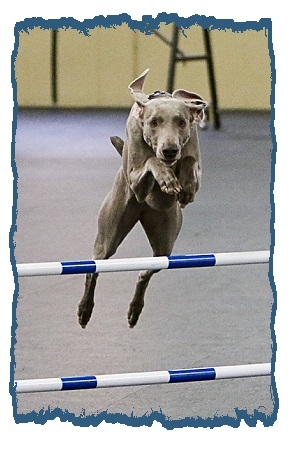 • 26” Class – dogs may be entered at this height at their owners discretion. This is a compilation of updated versions of Lindas jumping articles that originally appeared in Clean Run magazine. 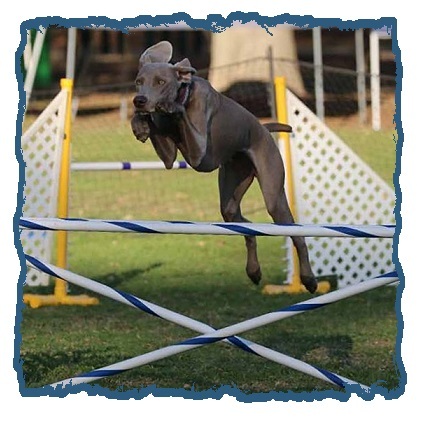 She developed this jumping program to help others lay a proper foundation for their dogs jumping skills. Over 2 hours of step–by–step information to help build those all important distance skills including a 63 page booklet in PDF format. 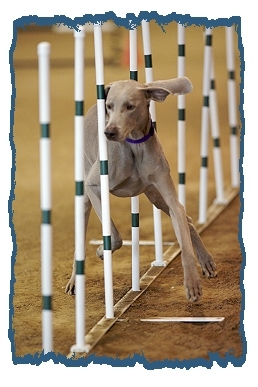 Its no secret that todays agility courses are far tougher and running times are tighter than ever before. Every handler who sets foot in the ring needs solid distance skills in their tool box, but its especially crucial when your dog is faster than you. 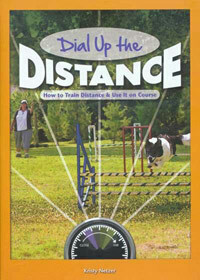 Dial Up the Distance is a comprehensive two–disc program that uses a clear, step–by–step approach to help handlers build these all–important distance skills with their dogs. 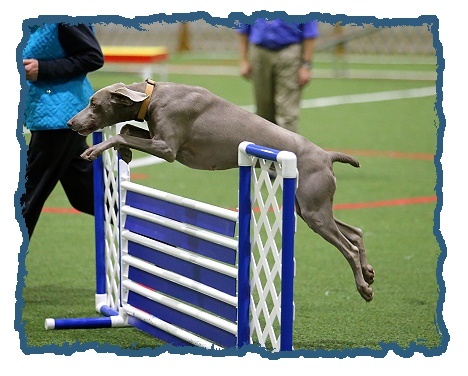 Kristy Netzer owns and operates two highly respected agility schools (California and Tennessee), and has taught hundreds of students how to incorporate extraordinary distance skills into their handling systems so their dogs can work confidently and accurately away from them. 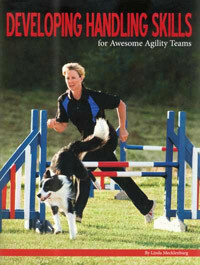 Covers all the essential basic training techniques to give you and your dog the strong foundation needed to build a successful agility career. Forming a good working relationship; socialising the dog to the competition environment; teaching the "Wait" command; training directional commands; understanding body language; training handling manoeuvres; proofing commands; motivational commands & other beneficial advice; and fitness training. Now available in DVD. 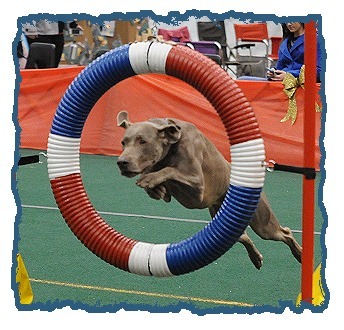 Greg Derret covers all the handling aspects needed to get the best out of you and your agility dog. Explains in great detail the proven and successful methods and handling system, taking you through more than fifty training exercises. 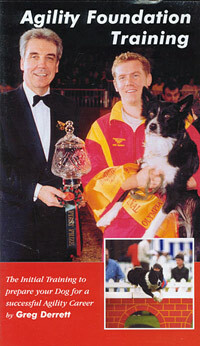 There is an explanation of the complete handling system; clear and precise rules making remembering the system easy; all handling maneuvers are explained and demonstrated; there are exercises to improve all maneuvers; there are training drills to improve the dogs speed and turning; split screen comparisons of handling maneuvers; and there is a booklet containing all exercises. 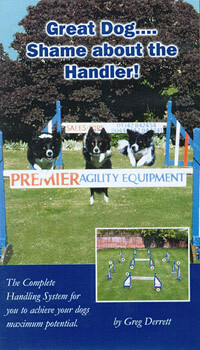 Never before has there been such a groundbreaking change in the way dogs are trained in the sport of dog agility. Susan Garretts revolutionary 2x2 weave training method will take a skill that people previously struggled with for 6–8 months and turn it into one that can be brilliantly trained in just weeks! 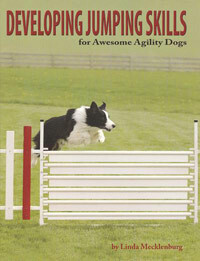 The first book to cover agility from all aspects, all levels! Youll find something for everyone: from pet owners wanting to have some fun with their dog to serious competitors looking for ways to shave seconds off their score. 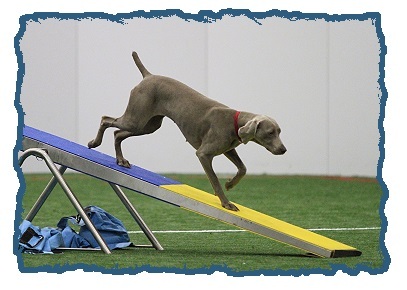 Starting with puppy training and ending with top level agility competition, Bauman explains each stage of training and each obstacle. Photos and diagrams clearly demonstrate every step. 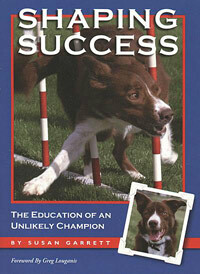 Written by one of the worlds best dog trainers, Shaping Success gives an excellent explanation of the theory behind animal learning as Susan Garrett trains a high–energy Border Collie puppy to be an agility champion. 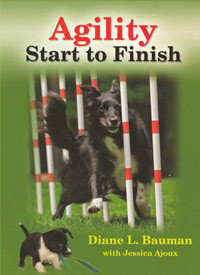 Buzzys story both entertains and demonstrates how to apply some of the most up–to–date dog training methods in the real world. Its rare that a trainer shares his or her mistakes as well as successes. 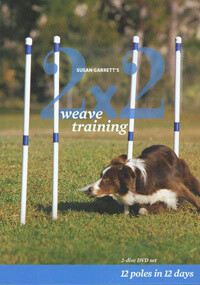 Susan presents a great mix of training theory, practical application, and Buzzy stories. Clicker training! 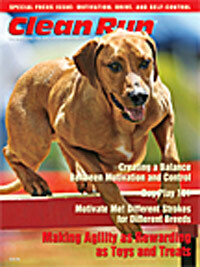 This special collectors issue of Clean Runmagazine is all about motivation, drive, and self–control: Susan Garrett explains how to transfer the value of your dogs favorite reinforcements to his agility performance, Deborah Jones discusses creating the perfect balance of motivation and control, Wendy Pape shows you how to get your dog to play with you without toys or food, Pam Reid discusses the science behind motivation and drive, Rachel Sanders helps you become aware of important motivation dos and donts, Leslie Renaud shares her method for training dogs to work happily through "mistakes," Judy Keller talks about how to gain focus and control without losing speed or drive, Tracy Sklenar explains how to train your dog to choose the correct behavior even in stimulating situations, Ann Braue discusses how speed is a skill that can be taught like any other skill, Sherry Kluever looks at start–line techniques for achieving maximum speed and focus, Jo Sermon demonstrates how to motivate dogs by driving him from behind, Angelica Steinker shares fun and useful games for developing attention, motivation, and self–control, Brenna Fender looks at whether a dogs breed may play a part in what he finds motivating, and much much more!